Five pairs of wall sensors and three pairs of cliff sensors allow the robot to sense barriers and stairs and adjust its route timely. Therefore, the robot can better protect your wall and furniture. 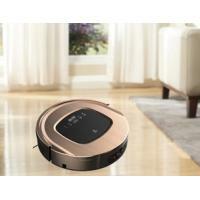 It has UV lamp and the UV light can kill most bacteria and viruses of the floors. Magnetic tape work as virtual wall function. Double filter design, HEPA + Primary. 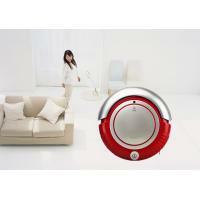 With remote control, users could operate the robot easily and conveniently. Zigzag cleaning: robot could judge the environment and cleaning in a Zigzag way, it's cleaning effect is obvious and outstanding. Please note: Place charging station against the wall and remove obstacles about 1 meter at two sides and about 2 meters front of the station before charging. 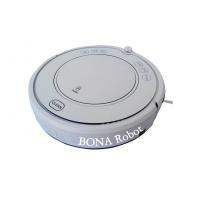 Shenzhen BONA Robot Technology Co., Ltd was founded in 2004, the parent company of SHARP CROWN DEVELOPMENT LIMITED, with more than 10 years manufacturing experience for robot vacuum cleaner. There are 20000 m² production base in Shenzhen, 6 production lines and over 300 workers in the factory, production capacity is more than 50000pcs robot vacuum cleaners per month. BONA Robot has its own independent R&D center, mould tooling workshop, injection workshop, electronic workshop, silk print workshop and final product assembly workshop. 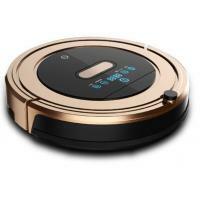 With more than 20 experienced R&D engineers, led by mature professionals of Doctor expert team in robot cleaner field, BONA Robot is professionally engaged in industrial design and electrical design for robot vacuum cleaner. 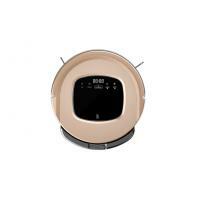 The company has all kinds of advanced manufacturing equipments and testing instruments, applied 5S management and ISO9001:2008 system; all products meets international standard for GS, CB, CE, ROHS, PAHS, PSE, and our robot vacuum cleaners were sold to all the market in domestic and overseas. Installed with full set professional mould processing equipments, injection machines, there are also dust-free auto painting line, screen and pad printing line, auto-printing machine, etc. Strict quality control system was built with backup of various quality control devices, such as high and low temperature test instrument, vibration measurement instrument, RCA tester, abrasion tester, hardness tester and salt spray tester. Insisting on the conception of “Customer first! 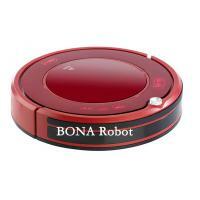 Nothing best but better”, BONA Robot wins trust and excellent reputation from customers in domestic and overseas by its innovative technology and high quality products, and grows with the trustworthy customers together! 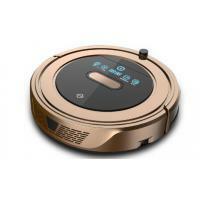 Adhering to the enterprise culture as “Supply Comforts For Your Life”, BONA Robot will strive forward with higher quality requirement, more value added expertise service and continuous innovation to cooperate with our new and current customers for mutual benefits, long term development and more glorious future!